Nukkad means ‘street corner’ in Hindi and is the name of an exciting new Indian street food concept that has launched in the Merrion Centre. There are food stalls on every street corner in India serving delicious, freshly prepared on-the-go food including dosa, kathi roll and chaats. 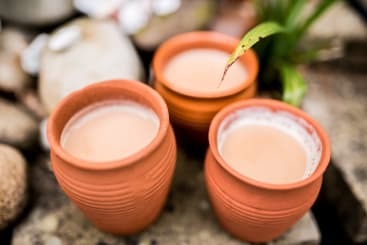 They stay open day and night and locals visit them to socialise and catch up while enjoying mouth-watering street food. Nukkad co-founder Abhi Khurana did his MBA at Leeds Beckett University and along with his friend, Amol Kapote, struggled to find authentic Indian street food in the city. They both have a passion for cooking and they saw a gap in the market for a truly authentic Indian street food offer. This shared vision between two friends led to them setting up Nukkad which aims to bring the rich aromas and tastes of India to the streets of Yorkshire. After launching in York in 2017, Nukkad is now bringing its authentic cuisine to the Merrion Centre. Abhi Khurana, co-founder of Nukkad said; “Britain is full of Indian restaurants but it’s almost impossible to find authentic Indian street food. We wanted to make Nukkad a place that brings to life the culture and colour of India with an array of mouth-watering street food of India served with passion and care. James Broughton. Head of Marketing at Town Centre Securities (TCS), owners of the Merrion Centre, said; “The Merrion Centre is pleased to be able to welcome this fantastic street food offering to our main mall. We are confident that Nukkad will complement our already extensive list of international eateries including the renowned Bengal Brasserie, award-winning My Thai, Bulgogi Korean grill and the long-standing institution that is Fuji Hiro! Nukkad first opened in York Shambles market in 2017 and has quickly grown in popularity and is number 1 Indian restaurant in the city, according to TripAdvisor. Over 30,000 people have flocked to taste their enticing menu of authentic Indian street food. 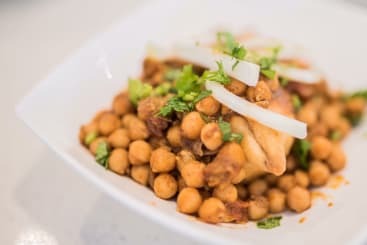 Nukkad will offer range of Indian chaats such as dahi puri and samosa chaat which are typically served at Indian roadside stalls or food carts. 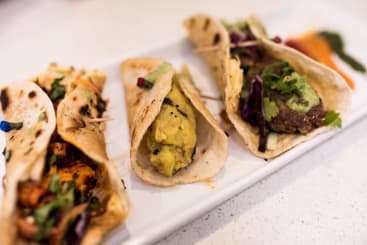 Along with dosas and kathi rolls which can be used as a base for a range of delicious fillings including lamb, chicken along with lots of vegetarian and vegan fillings including paneer, chickpea curry and spiced potato. A number of dishes are gluten free, so there’s plenty of choices for everyone. Nukkad celebrated its official launch in true Bollywood style with an Indian-themed ribbon-cutting, Bhanjra drummers and dancers, free samples of irresistible Indian street food from its menu and lots of happy customers. Nukkad will be open in the Merrion Centre from 11am-5pm every day with dishes starting at just £2 to £7.50.